A Galaxy Called Dallas: Getting Ready for Halloween! It's that time of the year when the weather cools down (slightly) and the leaves start to turn golden brown (unless they were that way from the heat already). This can only mean that Halloween is close at hand. 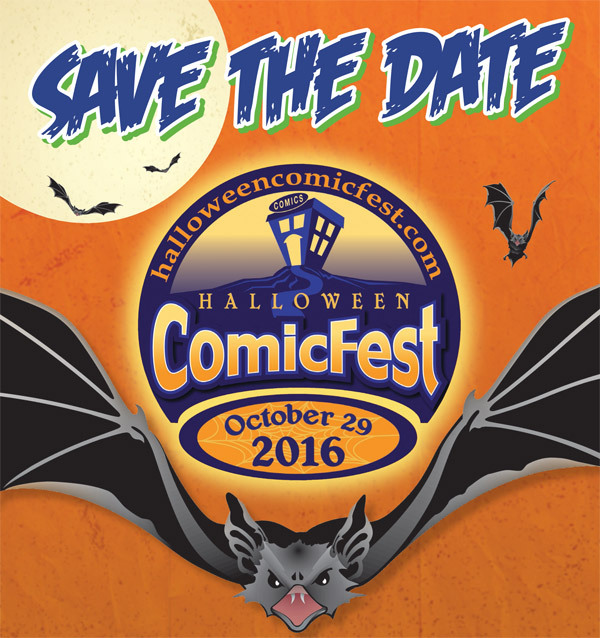 It also means that Halloween ComicFest is almost here. 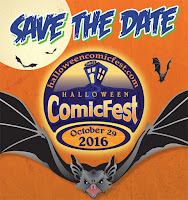 The date is October 29, 2016 and we are lining up some fun. We already have Erik Reeves (Hoodratz) signing for us. Check the Facebook event page for more additions as we go. We'll have our own costume contest that evening, but here's a link to the Greatest Costume Contest put on by Diamond. In fact, Robin (below) was a runner-up last year. Don't miss your chance on some great comic book swag! Here's a link to the Preview's Halloween Gift Guide 2016. Plenty of Halloween and horror goodies for your spooky needs! Get your orders in now or we won't be able to get them in before the holiday. AND pre-pay and we'll give you a 20% discount.